Moominpappa roamed far and wide before settling down with Moominmama in Moominvalley. His adventurous spirit never left him though and in the book ‘Moominpappa at Sea‘ he sets off on a quest to find a lighthouse in the sea. The Moomin series were characters in a wonderful series of children’s novels (great for adults as well!) written by Finnish author Tove Jansson. 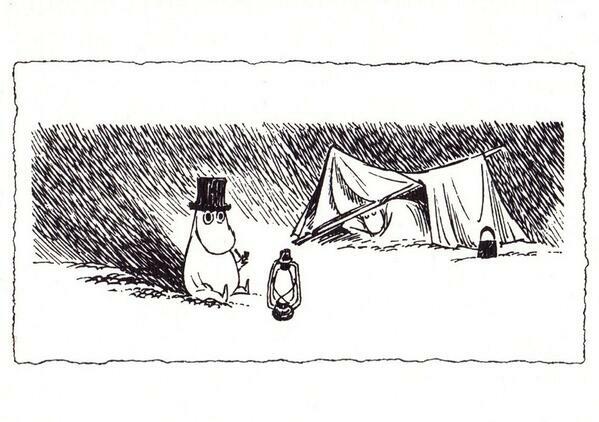 I’m extremely pleased to add Moominpappa to my list of quotes in praise of wild camping. Hi Louise, glad you enjoyed the post. Which part of the Grand Union did you walk on?